It is with mixed emotions that we bid farewell to a long time friend, brother and associate. Ebenezer Udofia. 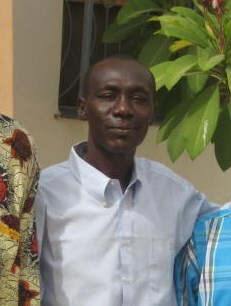 Ebenezer began his new position with Healing Hands International September first of this year. 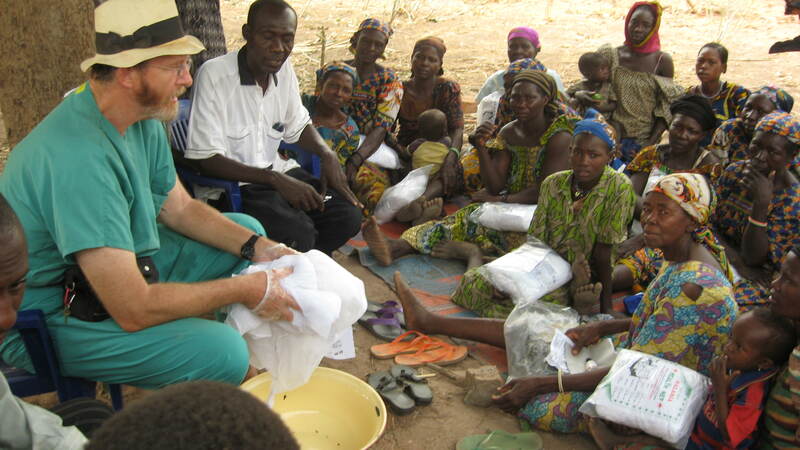 He has work as the Director of Operations for Hope Springs International since February of 2008. 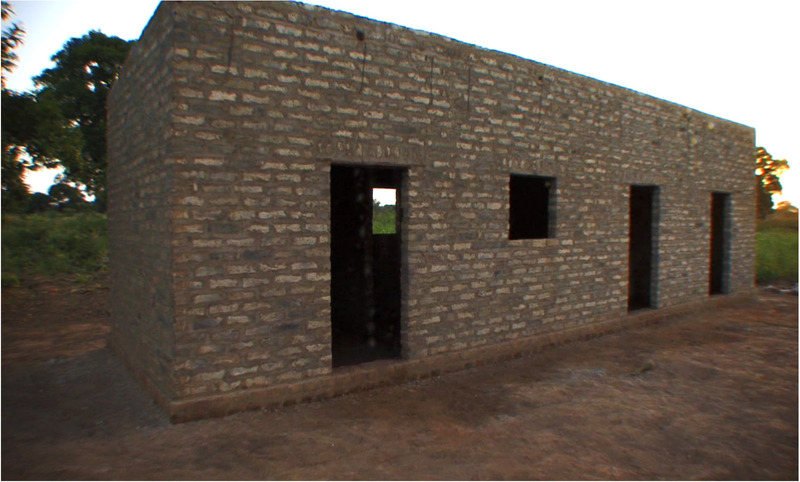 He was instrumental in getting the Pompomari Agricultural and Animal Husbandry Training Farm up and running and has overseen its operation until his departure in September. Soon after taking the position with Hope Springs International, at that time called Arewa Aid, our resident missionary family was re-called. Although Ebenezer barely got his feet on the ground before all these changes took place, he successfully accepted the new challenge posed by these events and rose to the occasion never missing a beat in the process. During these trying times Healing Hands International stepped in and took over the personal support of Ebenezer and the Pompomari Farm as we at Hope Springs began to re-organize and re-group. The part played by Healing Hands International and it’s CEO Randy Steiger, Vice President Chris Gingles and Agricultural Director Dave Goolsby, cannot be over stated. While Ebenezer will no longer be working directly with Hope Springs International we have been assured that he will still be available to us with his expert knowledge of agriculture and animal husbandry should we need him. 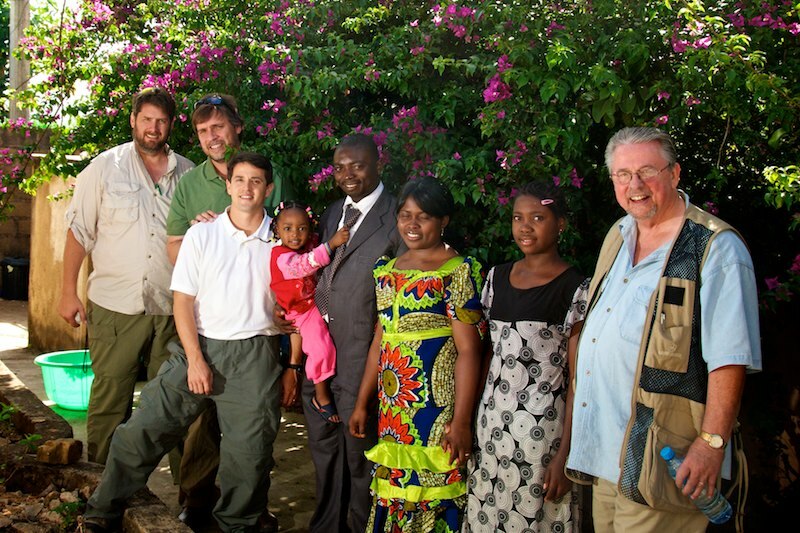 Ebenezer is presently living with his wife Regina and daughter Grace , pictured above with mission team members, in Jos, Nigeria. We at Hope Springs International are excited for the many opportunities that will be provided to Ebenezer in his new position and wish him God speed. Ebenezer doing what he does best. 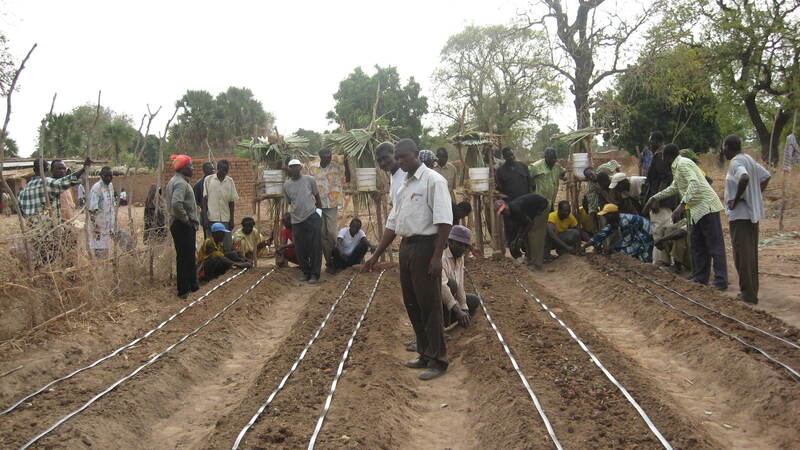 Teaching the principle of dry season farming or drip irrigation in Dono-Manga, Chad in March of this year. Categories: Chad, Drip Irrigation Farming, Drip Irrigation Workshop | Tags: Ebenezer, Healing Hands Intenational | Permalink. I just received a letter from Pierre Rimorbe the evangelist that Hope Springs has been working with in Dono-Manga, Chad since February of 2009. I want to share a portion of it with you. Pierre went on to say that when he began his work in his home town district of Dono-Manga the religious make up was 70% Idol worshipers, 20% affiliated with a few protestant groups and about 10% Catholic. 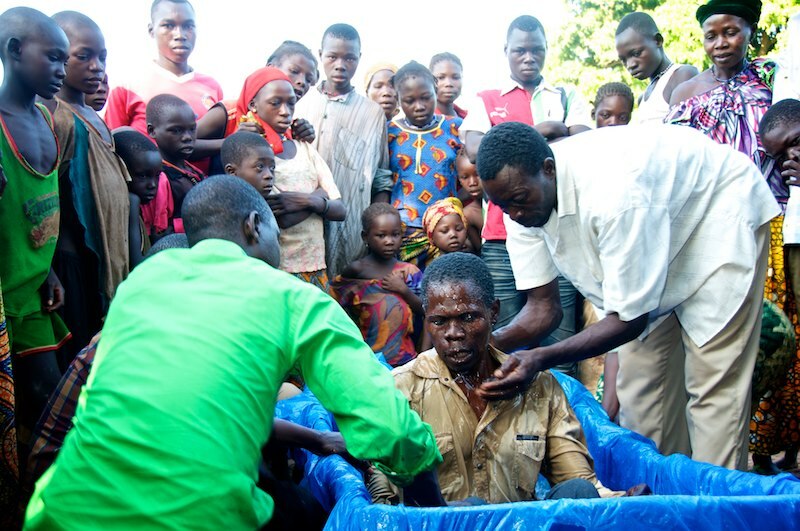 The largest protestant group in the area considered the churches of Christ a “drinking blood church from Nigeria”. This is very similar to the thinking of many first century non-Christians about Christians who met in the catacombs. Misunderstandings about the Lord Supper and how the fruit of the vine represents the blood of Christ no doubt caused the confusion then and likely the confusion here as well. Pierre also shared the events that caused him to send the original appeal for help to the Wulari Jerusalem Church in Maiduguri in February of 2009. Pierre goes on to explain the importance of the response to that appeal. Idol worship and superstition have been the gods of most people in Dono-Manga for hundreds of years. When they or their babies became sick they would take them to the shrines built to the idols they worshipped and they would pray to their gods to heal them. The combination of humanitarian aid and preaching the good news about Jesus is a combination that not only worked in the days when Jesus walked the earth, it is still powerful today. People originally came to Jesus for the loaves and fishes, but many of them became His disciples because they came to understand the love behind the gift. Women are now willing to bring their children for treatment when there is a medical campaign and there is much excitement about the new clinic and availability of drugs to treat common childhood diseases that have been responsible for the death of many children in the past. Pierre believes that the presence of the clinic will go a long way in encouraging women to trust modern medicine and not the traditional idol worship. We believe that many more will come to Christ as a result of seeing the love behind the gift. Pierre also adds that education, especially of the young people, is a critical need for the future. These young couples simply do what they have seen their parents do, try to survive through farming. But without the skills of dry season farming techniques and an understanding of how to preserve food for greater shelf life, they simply starve during the dry season and many, especially the children, don’t make it. New Dispensary before windows and doors were added. While we have seen so many changes over the last two years and exciting days are ahead. Stay tuned for what God is going to do next. Categories: Chad, Dispensary, Dono-Manga, Medical Missions Campaign, mosquito nets | Tags: Chad, Dono-Manga, Progress, Thank You | Permalink.